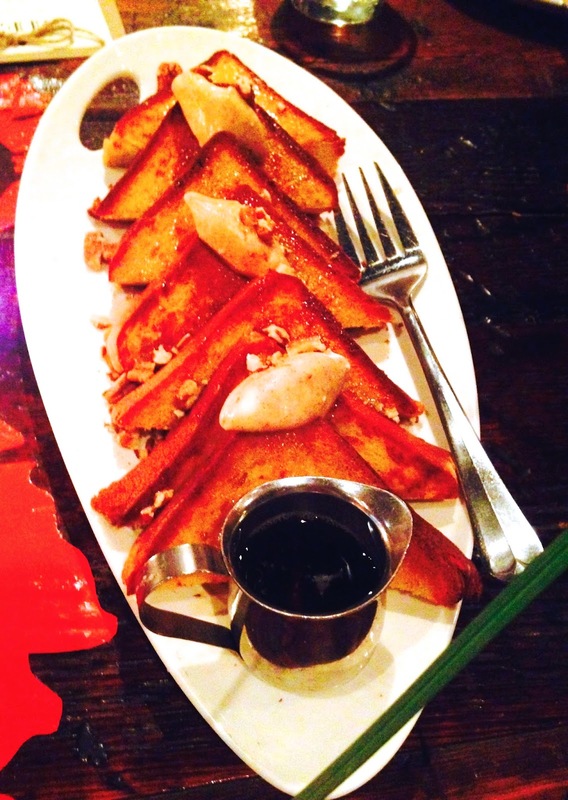 As anyone in Chicago knows, there are restaurants popping up each week with new brunch menus. Now that the weather is finally warming up in Chicago, it seems everyone is out and about and that includes going out for weekend brunch. 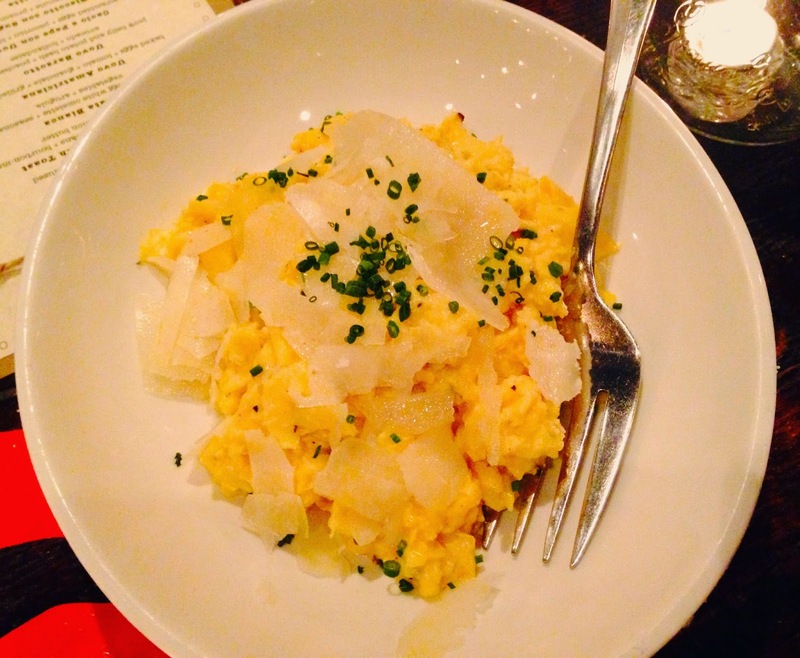 Last month I checked out the new brunch menu at Davanti Enoteca in River North. 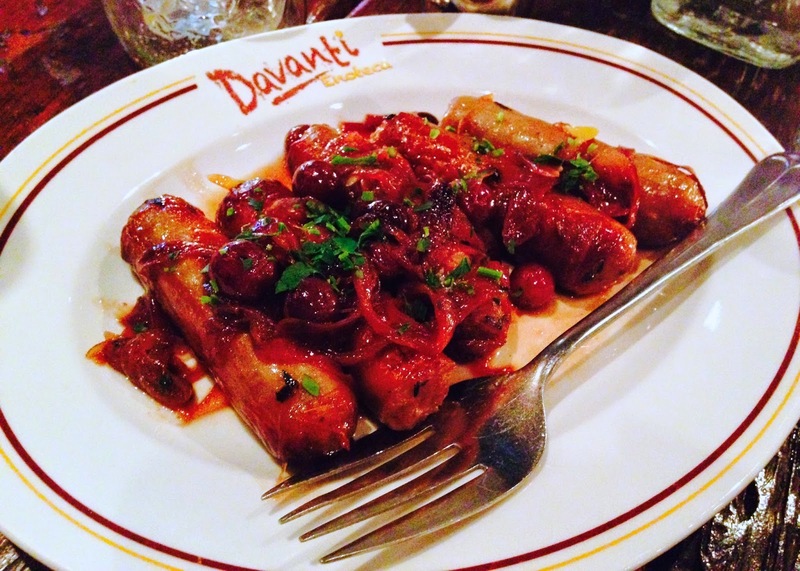 Davanti Enoteca is part of Francesca's Restaurants and the River North location is one of several locations in Chicago and California. It's an Italian wine bar with shareable plates of Italian cuisine, as well as a selection of antipasti, and salads. 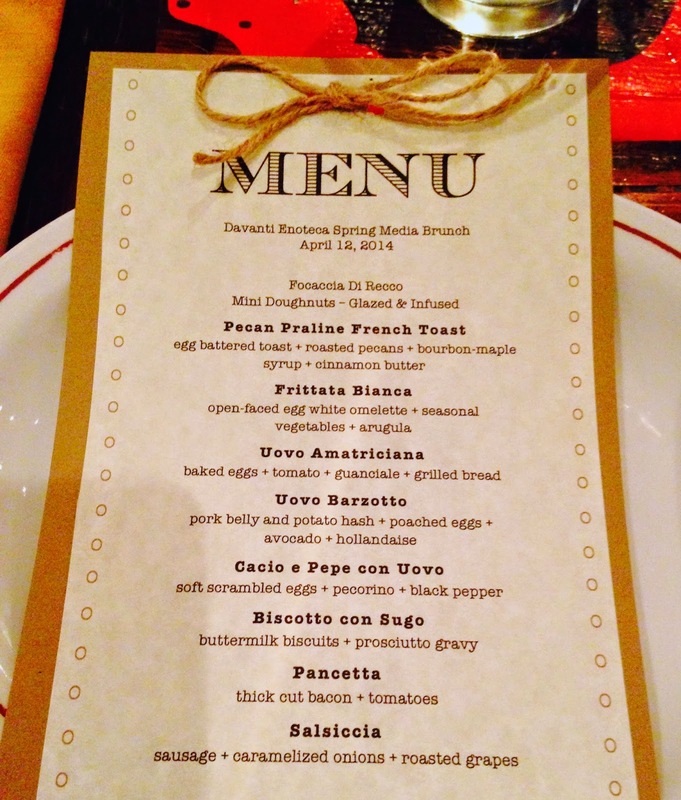 I enjoyed an extensive tour of the brunch menu along with some other Chicago bloggers. 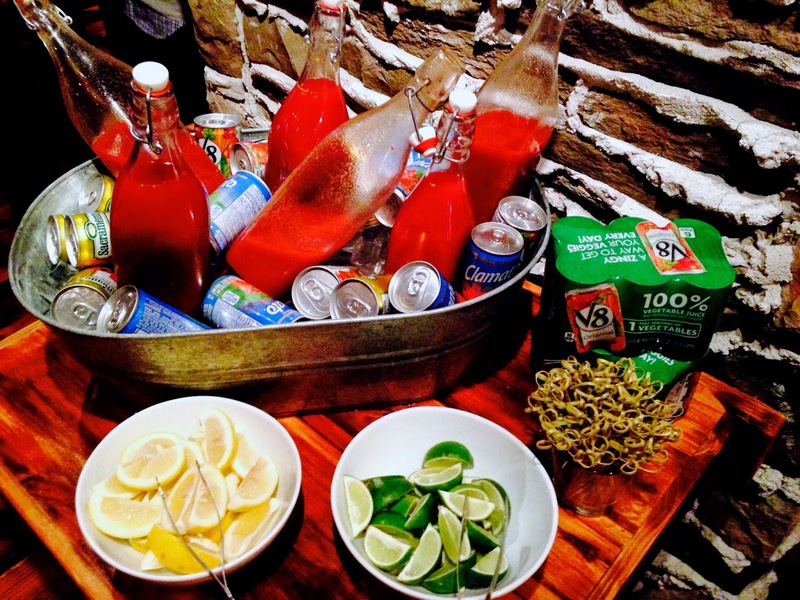 One of the main attractions of the brunch menu is the build-your-own bloody mary bar. To say the bar is gigantic would be an understatement. 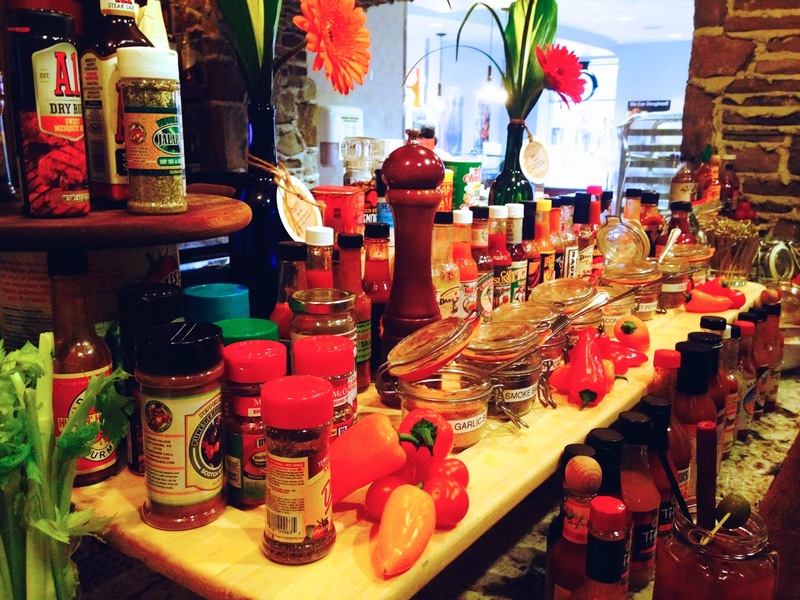 There is a large selection of juices, olives, spices, and traditional (and not-so-traditional) accoutrements that will have you wondering where to start! There are also a few brunch cocktails including the Davanti Spritz (Aperol, lemon juice, simple syrup, and prosecco), and the Negroni Flip (Tanqueray, Campari, Punt e Mes, and egg). While we sipped on brunch cocktails, we also enjoyed some mini versions of doughnuts from Glazed and Infused (also part of Francesca's Restaurants), as well as some of their famous Focaccia di Recco which is baked focaccia with fresh soft cow cheese, and local honey. I'm just going to put this out there and say the Focaccia di Recco is one of the best things I ate this year! It's unreal. 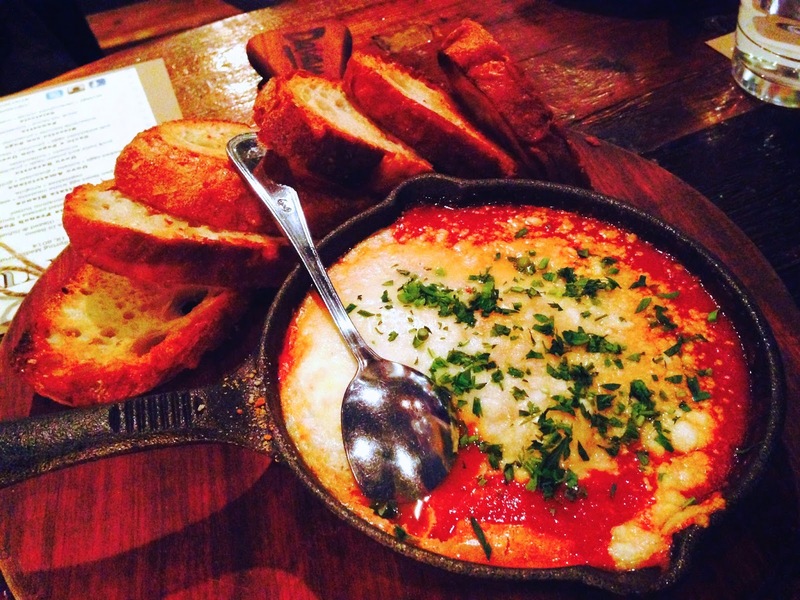 We sampled many of the dishes family style, including Pecan Praline French Toast (roasted pecans and bourbon maple syrup), Uovo Amatriciana al Forno (baked eggs, tomato, guanciale, and grilled bread), and Frittata Bianca (an open-faced egg white omelette with seasonal vegetables and arugula). Some of the other dishes we sampled were the Uovo Barzotto (pork belly and potato hash, poached eggs, avocado and hollandaise), Biscotto con Sugo (buttermilk biscuits and prosciutto gravy), Salsiccia (sausage, caramelized onions, and grapes), and Cacio e Pepe con Uovo (scrambled eggs and percorino). Some of my favorite dishes (aside from the Focaccia di Recco), were the French Toast, Uovo Barzotto, and the salsiccia. 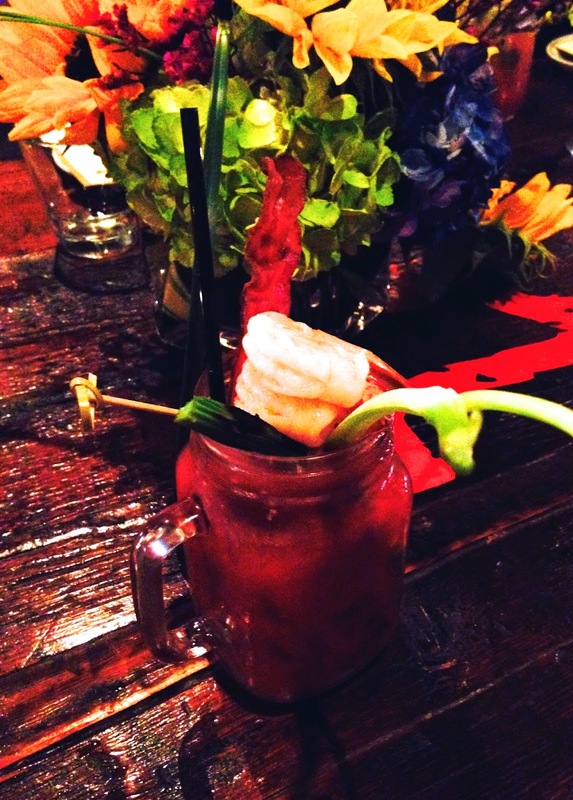 I recommend stopping by Davanti Enoteca in River North or one of their other locations for brunch and an amazing bloody mary! Note: my meal at Davanti Enoteca was complimentary, however, the opinions expressed herein are my own.